Want a system that can not only rock the latest game but also rip through your media? 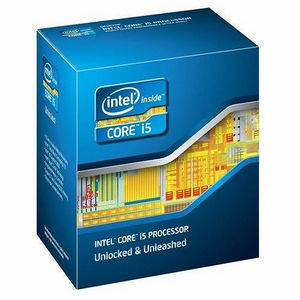 Then combining a 4th gen Intel Core processor in the LGA1150 socket with the latest Intel® 8 Series Z chipsetwill get you the results you want. The built-invisuals of the 4th gen Intel Core processors deliver everything you need to enjoy a stun-ning and seamless graphic experience when viewing and interacting with pictures and media on your PC without the need for a discrete graphics card, thanks to Intel® HD Graphics 4600-the new baseline for all 4th genIntel® Core™ i5 and Intel® Core™ i7 processors. Intel® Quick Sync Video allows the conversion of media from one device to another and prepares your media to share it online at incredible speeds. And when the need to frag a zombie arises, the Intel 8 Series Z chipset, paired with Lucidlogix Virtu software, allows you to switch over to a discrete graphics card for high-end 3-D gaming.